An excellent set of 12 mini paint pots in bright colours. 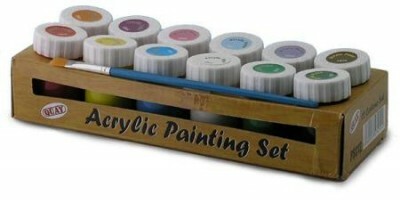 Ideal for small painting projects such as plaster casts, wood, card etc. This seletion set contains 12 x 18ml bottles. Not suitable for children under 36 months.